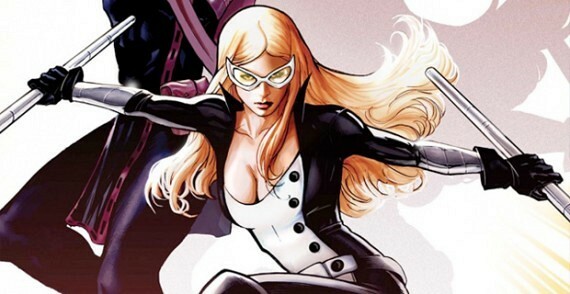 Mockingbird and Lance Hunter Land Primetime Gig With ‘Marvel’s Most Wanted’!!! Fans of the hit Marvel series, ‘Agents of S.H.I.E.L.D.’ can rejoice that two of the strongest characters from the series, Barbara Morse, better known as Mockingbird and Lance Hunter are back in the prime position of carrying their own series, whether or not it will be a “spinoff” of ‘Agents of S.H.I.E.L.D.‘ still remains to be seen, but Marvel’s ‘Most Wanted‘ is definitely a go for pilot. Whether or not fans do a lot of rejoicing having two fan favorites taken from Agents is definitely going to rub some fans the wrong way, while other will embrace it fully. Adrianne Palicki and Nick Blood are front and center for the proposed drama, where they will continue to play the characters they originated on Agents, which was developed on the DL last season and ABC slammed the brakes on that project leaving it dead in the water until recently. It’s been given a heavy dose of CPR and has been reborn in a new direction for the two characters. ‘Marvel’s Most Wanted‘ will join the ABC lineup of AOS which is coming back for season three and ‘Agent Carter‘ which will take up the half season break with it’s second season. Whether your thoughts be good, bad or indifferent towards the series, the Mockingbird is about to land on primetime. This entry was posted on Friday, August 21st, 2015 at 10:09 am	and is filed under Comics, News, Television. You can follow any responses to this entry through the RSS 2.0 feed. You can skip to the end and leave a response. Pinging is currently not allowed. « Bow To The Genius Of ‘Iron Maiden’s Latest Double Album and New Video!!! We should drop canvas, sir. What's in your head, Captain, that puts you in such a fine mood?